A Science Expo is a student’s opportunity to share, as any scientist would, their research. Science Expo’s, held during the afternoon or evening, are a time to celebrate science and students’ specific research projects. 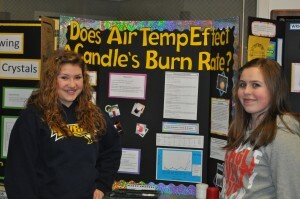 Each school hosts a yearly science event in March, in preparation for the South Sound Regional Science Fair at PLU. Students typically begin their science research in November or December. Most Science Expos are open to the community. Students receive feedback on their projects from volunteer judges using either the Middle School Science Expo Rubric, or the High School Science Expo Rubric. During Science Expo season (November through March), STEM Pals recruits volunteer judges through the Volunteer Needs page on STEMpals.org.